Madden NFL 16 is bringing an all new game mode in Draft Champions as well as new on-field mechanics never before seen in the series. "Draft Champions brings a new fantasy experience to Madden NFL 16, testing your playmaking ability off the field as you build a team in your personal war room, and on the field as you pit your drafted team against fierce competition." In Draft Champions, players create a fantasy team of current and former NFL stars. With your team assembled, test your skills on the field in a new "fast-paced and repeatable way to play". There will also be brand new playmaking tools for quarterbacks, receivers and defenders, creating what EA claims "a completely transformed passing game and the biggest wow moments in franchise history." 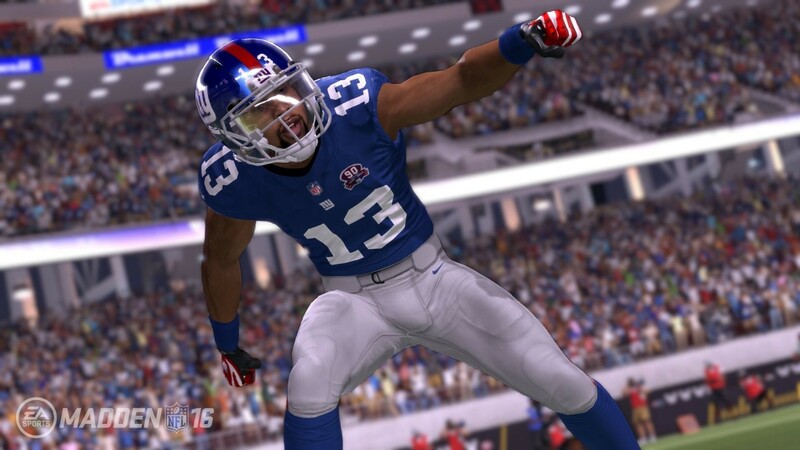 "When players take the field in Madden NFL 16 they’ll have a new set of tools at their disposal on both sides of the ball. For the first time in franchise history, gamers will be able to experience true two-player catch interactions as offensive and defensive players make their best attempt to secure the pigskin. Receivers and defenders can now dictate the outcome of each passing play while the ball is in the air. For receivers, go for the highlight reel with the “aggressive” catch, pick up extra yards with “run after catch,” or move the chains with the “possession” catch. On defense, disrupt the outcome of each play using the new “play ball’ and “hit receiver” mechanics." Madden NFL 16 is available for pre-order and releases August 25 for the Xbox One and PS4 (as well as Xbox 360 and PS3).